December 16, 2010 - The 100th Anniversary of Naval Aviation Foundation was formed to support the Navy, Marine Corps and Coast Guard with their 2011 Centennial celebration. The mission of the Foundation is to raise national Naval Aviation awareness and honor a century of mission-ready men and women throughout the 2011 Centennial. As a result of regionally based events and education displays, the Foundation will recognize unique Naval Aviation achievements and provide resources for national involvement in the Centennial of Naval Aviation. The 100th Anniversary of Naval Aviation Foundation announced its Board of Directors for the 2011 Centennial events. The Foundation is comprised of a volunteer Board Co-Chaired by Major General Bob Butcher, USMC (Ret) and Rear Admiral John "Mac" McLaughlin, USN (Ret). Captain Jim DiMatteo, USN serves as Foundation President and Katie Everhart serves as the Executive Director. "2011 Represents a major milestone in the history of the United States," said Foundation President, Jim DiMatteo. "Our Foundation aims to recognize the progress and achievements of Naval Aviation over the past one hundred years of flight as well as showcase the commitment and service made by hundreds of thousands of Americans for our country." The 100th Anniversary of Naval Aviation Foundation is a publicly supported, non-profit 501(c)(3) organization working independently to support the USN, USMC and USCG's Centennial Celebration. 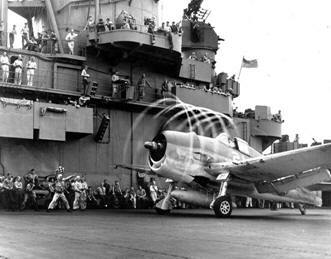 The Foundation will orchestrate the production of the official Centennial of Naval Aviation Kick-Off and Closing Events as well as support the 2012 Marine Aviation Centennial Celebration. The official Centennial of Naval Aviation Kick-Off Gala will be held on Saturday, February 12, 2011 onboard the USS Midway Museum in San Diego, CA with a VIP Reception held the day prior. Board Members include Willis Allen, Jr., Jason Brustkern, Reo Carr, Pat Connors, Shelly Hall, John Hawkins, Phil Jelsma, Mary King, Scott Mednick, Mitch Mulanix, Ari Petersen, Patti Roscoe and Larry Scott. 100th Anniversary of Naval Aviation Foundation events are presented by The Boeing Company. Joining Boeing as National Sponsors are Lockheed Martin, Northrop Grumman, Rolls-Royce, Raytheon, Breitling, Sikorsky, Pratt & Whitney, GE Aviation and DRS Technologies. Breitling, Vanguard Industries and Sparta Promotions are also signed on as licensing partners to the Foundation.